Erica Mallery-Blythe, MD is Founder of Physicians’ Health Initiative for Radiation and Environment (PHIRE) in the U.K. where she is also Trustee of the Radiation Research Trust, Medical Advisor to Electrosensitivity UK and Member of the British Society of Ecological Medicine. She has worked in emergency medicine, led trauma teams and taught trauma medicine throughout the UK and abroad. She has a broad base of medical experience, including surgery, anesthesiology and intensive care (both neonatal and adult). For many years, Dr. Mallery-Blythe has worked intensively with adults and children suffering from the little-understood biological and health effects of wireless technologies, working closely with their doctors. She is author of a resource for parents, teachers, schools and policymakers called “Electromagnetic Health for Children”. 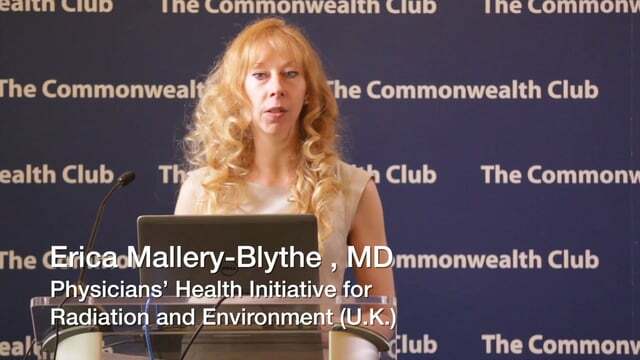 Here, Dr. Mallery-Blythe presents on risks to children at a program organized by ElectromagneticHealth.org and Environmental Health Trust held at the Commonwealth Club on June 22, 2015.